Much as some wine lovers think that their drink is an escape from the real world, the wine industry - and what we drink - is intimately linked to political events and processes. This even extends to the grape varieties which are planted in much of the world. This webinar is going to explore the relationship of wine and politics and will end by examining the development of the South African wine industry as a case study of the field. Profile – Dr. Steve Charters MW, MA (Oxon), PhD (ECU). Steve Charters originally qualified as a lawyer in the UK – but was seduced by the allure of wine, and worked in retail and wine education in London, Sydney and Perth. Steve is now Professor of Champagne Management at Reims Management School, responsible for developing teaching and research programmes focusing on all aspects of the business of Champagne. He formerly lectured in Wine Studies and Marketing at Edith Cowan University in Perth. He is involved in research focusing on consumer behaviour, including wine tourism and consumer perceptions of quality in wine and on management expertise in the wine industry. He gained his PhD from Edith Cowan University in 2004, for a thesis entitled ‘Perceptions of Wine Quality’. 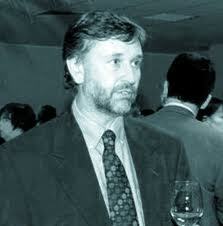 He is a member of the Institute of Masters of Wine having passed its examination in 1997. Before joining Edith Cowan University Steve ran his own wine education consultancy in Sydney. 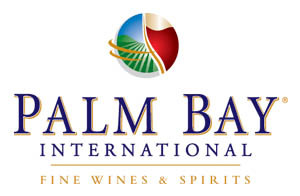 He has also worked in wine retail in Sydney, for a company involved in importing wine. In 1997 Steve was the winner of the Australian Vin de Champagne Award (professional section). He has wide and current knowledge of a number international wine areas, but focusing mainly on Champagne and Australia. He has also worked for a vintage on a winery in France. Steve has written columns for the Australian Gourmet Traveller Wine Magazine. He is author of ‘Wine and society: The social and cultural context of a drink’, published by Elsevier in 2006 and has also contributed to a number of popular books on wine – including The Oxford Companion to Wine (OUP, 2006), ‘Discovering Australia: Wineries’ (Random House 1999) and ‘The Global Encyclopedia of Wine’ (Global Publishing, 2000).